Extraordinary Lutheran Ministries believes the public witness of LGBTQIA+ ministers transforms the church and enriches the world. 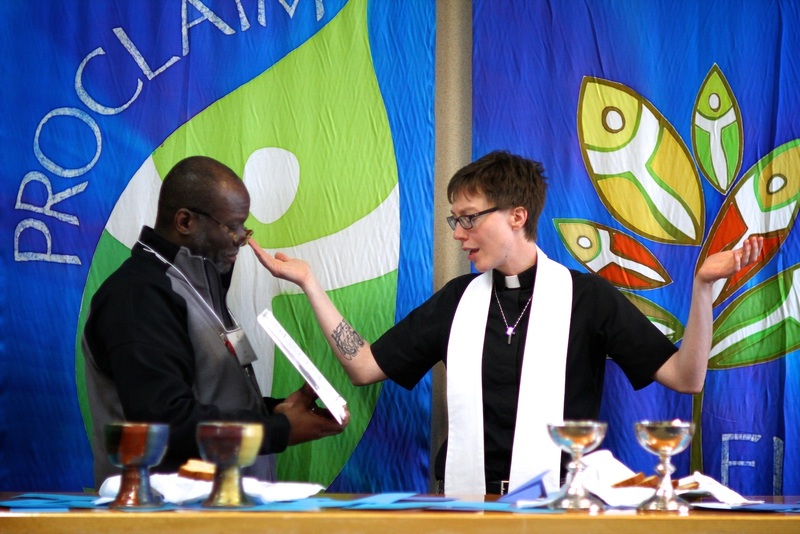 One of ELM’s main programs is Proclaim, the professional community for Lutheran ministers and candidates, who publicly identify as LGBTQIA+ (lesbian, gay, bisexual, transgender, intersex, asexual, plus). Who is Proclaim? Click here to find out! Need to update your current Proclaim info? Click here! Change in your Candidacy Journey? Update here! + To get to know more about some of our members, check out Proclaim Profiles. + Looking for a Proclaim member to preach in your congregation? Check out Proclaim Pulpit Supply. ELM & Proclaim: Interested in knowing more about the roots of ELM and Proclaim? Read this interview on the history of ELM and how Proclaim became a program of ELM. 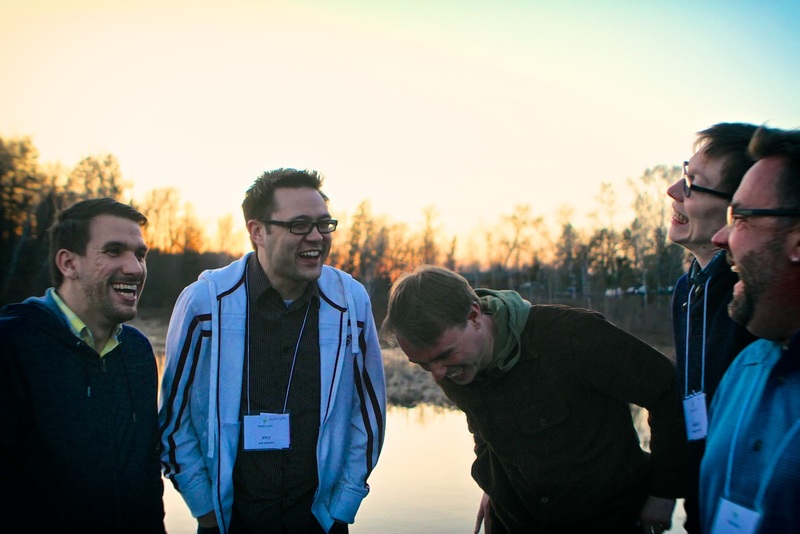 Proclaim is a living witness of Extraordinary Lutheran Ministries’ core belief that LGBTQIA+ ministers transform the church and enrich the world. We believe God’s Great Welcome Table is open to all, and that all kinds of people, including those of all sexual orientations and gender identities, are called to receive and share God’s gifts. 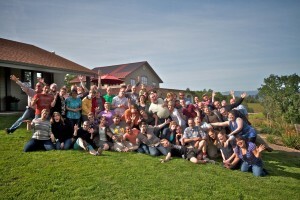 Proclaim hosts an annual national gathering for members as well as local and regional meet ups. We move the national gathering around the country (west, midwest, east). Learn more about the next one HERE. Seminarian Gus Barnes, Jr. and Rev. Andrew Nelson leading worship. Photo by Emily Ann Garcia. Proclaim was officially launched April 2, 2011 at a gathering of nearly 60 LGBTQIA+ Lutheran rostered leaders, seminarians and spouses. Proclaim is open to rostered ministers and candidates (who have been entranced into candidacy), all Lutheran denominations and rosters (for example, ELCA,ELCIC, LCMS, ELM). This community welcomes all who fit this criteria and who wish to join. Sign up to become a member here. Proclaim has a volunteer leadership team that meets monthly to discuss needs of the community and works on programming. Rev. Emily Ewing is the current Proclaim program convener. Student representatives from ELCA seminaries and those at non-ELCA schools form the ELM Seminarian Outreach Team. There are four chaplains for the Proclaim community.